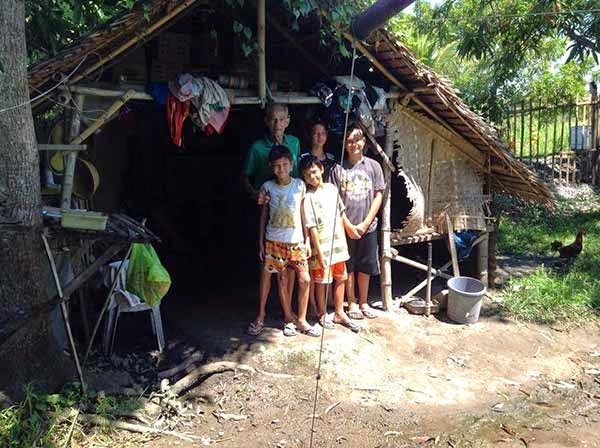 Eden Battistello, a Filipina from Bacolod, is seeking help for an Australian citizen and his sons who were allegedly neglected by their mother. His name is Ronald Hartigan and desperate to contact his 3 Children back in Australia. Children's name; DALE JOHN HARTIGAN. Last known address; ELbion Park, NSW. TRACEY LALEN HARTIGAN. Last known addreess; Scone, NSW. NICOLE HARTIGAN. Last known address; Lithgo, NSW. Probably they're all now married. He arrived and marry his Filipina gf here in the Philippines 1999. According to him, he and his wife was ready to leave to go to Australia but all of a sudden his wife change her mind. She told him she is not going. Then because he truly love her he decided to stay and live here in the Philippines. However, 8 months after the marriage. He found out that his Filipinas wife has a gambling habbit problem. Also Drink a lot and probably use drug. For few years he tried to make the marriage works despite of his wife problems. He manage to buy a blocked of Land 2 motorbikes and let his wife handle it Unfortunately everything gone without his knowledge. He said, his wife only wants money money all the time and that's the only time his wife being nice to him when she wants money. And got pregnant 4 times. The 4 kids grow up but none of them goes to school anymore. The eldest son is 15 years old and only finished Grade 2. Last school opening. 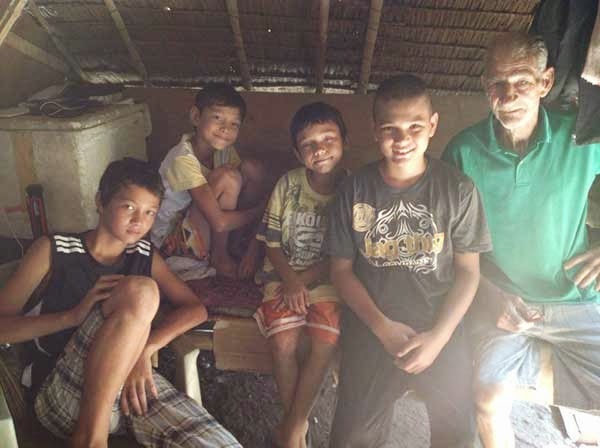 He said, he give his wife 10 thousand peso to enroll the kids back to school again. But his wife only use the money to buy 2 Tablets for herself. The kids mother only care about herself and money. She doesn't care at all about the kids. Everyone in this town knows what she like and what embarrassing she is as a monther. Everyone feel sorry for the kids. Now he is 76 years old and not so well. His only wish is to bring his 4 sons back to Australia before it's too late. The kids are all Australian Citizens by rights as they are born from an Australian father. He loves his 4 sons very much but because of financial problems he can't afford to proccess all the papers he needs for the kids and for their plane tickets. He is afraid that if anything happened to him here in the Philippines. There will be no hope for his 4 children to have a better life. Anyway, there is more story to tell but even her own kids scared of her if they tell truth. This people are not related to me but it breaks my heart when I meet them and found out the story. Also I am an Australian Citizen and I care about the children. If I can only afford I want to help them. They really needed help and I pray to God they can find all the help they want before it's too late. I meet them today, poor kids. And the Australian guy was very ill. He can't hardly hear, hardly see and he is ashmatic. I meet their mother too but she left when I ask her why the kids don't go to school. They said, if she got brain and caring mother to her husband and her kids. Their life could been better. So please share this post especially all Australian people on my FB I beg you. He really need to contact his family in Australia. And if anyone wants to help please contact me through my facebook or call my number +63 939 358 2573. My name is Eden Battistello from Bacolod City, Negros Occ. Philippines. We are trying to proccess all their papers. Here's their photos and this is how they live. The first picture when he arrived in the Philippines 15 years ago. Battistello received praises for helping Hartigan, but she was also accused of being a scammer. 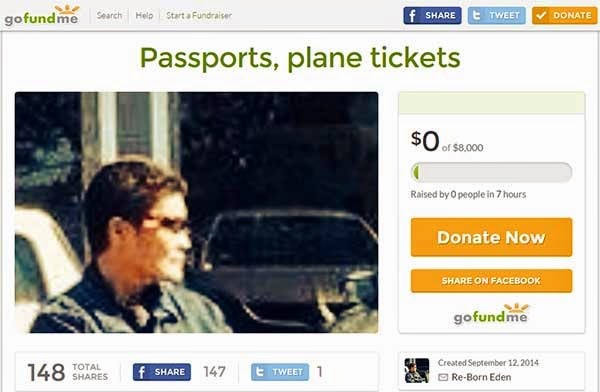 In fact, as of this posting, zero donations have been given to the fundraiser she started on gofundme, which is worth $8,000 (roughly P344,000) purportedly for the Aussie and his sons' passports and plane tickets. To refute the allegations, Battistello uploaded a video of her interview with Hartigan. In it, the Australian shared his story and showed the "chicken house" where he and his sons allegedly live. Meanwhile, Hartigan's Filipina wife, a certain Gr Depasucat, denied the accusations. Battistello's intension is laudable, but she has to dispute the cloud of doubt specially when there's money involved. Based on the video, Hartigan and his sons need help and that's where the Australian Embassy should step in. We hope that through this blog post, this viral story will reach them.